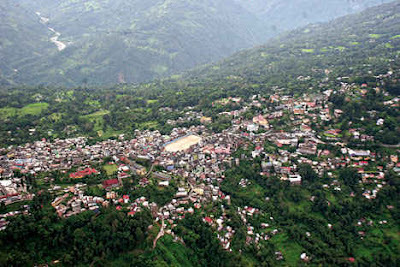 Kalimpong: As Darjeeling gets ready to host the first ever investment summit in the hills on Tuesday, tourism stakeholders in Kalimpong wondered what good would come out of it, given that even a sector with a lot of potential like theirs is yet to receive any departmental support. Sanjogita Subba, the president of the Hotel and Restaurant Owners Association of Kalimpong, bemoaned the fact that neither the state tourism department nor its GTA counterpart had done anything on the ground to give a fillip to tourism in Kalimpong. "We have made umpteen representations to the tourism departments, but they have all fallen on deaf ears. Where is the infrastructure required to retain tourists in Kalimpong for an extended period of time? There should have been a ropeway, a water kingdom, a park to showcase the rich flora of Kalimpong, but none of these are there," she lamented. Bimal Gurung, in fact, had laid the foundation stones of both the ropeway and water kingdom in Kalimpong when he was the GTA chief executive, but both the projects appear to have been all but shelved. The ropeway was supposed to have run from Deolo to Relli and the water kingdom was to have come up at Relli, which is a tiny village about 10 kms from here. Experts agreed that a floriculture park would do wonders to not just to tourism, but also the flower trade. Kalimpong has around 50 flower nurseries and is considered to be the floriculture hub of the region. "Kalimpong is a natural green house where different kinds of plants from cactus to pine are grown. Other plants grown here include bulbous plants like gladiolus, amaryllis and indoor houseplants like bromeliads, philodendron species, palms and ferns. If a park showcasing all the varied flora available here is set up, it should boost both tourism and our business," said a floriculturist. Others said given that the homestay tourism was spreading in every nook and cranny of Kalimpong, there was an urgent need to improve the road network in the district. "Condition of roads in far-flung areas are terrible. Tourists have to bear with rough rides to reach these remote areas. Better roads are bare minimum required to promote tourism in these areas," said Anil Teleja, who runs a homestay at Rongo, a village on the border with Bhutan. As Darjeeling gets ready to host the first ever investment summit in the hills on Tuesday, tourism stakeholders in Kalimpong wondered what good would come out of it, given that even a sector with a lot of potential like theirs is yet to receive any departmental support.